Grew up… unhappily. A former prisoner of the penal colony of Rura Penthe, Captain Nemo escaped the island, but not before his wife and son were killed while being tortured for Nemo's research. Living… underwater in the Nautilus, the submarine he built. A wonder of engineering, the Nautilus is a testament to Nemo's otherworldly genius. With most of its crew also from the penal colony, the submarine becomes a tool of revenge against Western imperialism. Profession… ruthless captain of the Nautilus. When Captain Nemo finds out that Professor Pierre M. Aronnax, his assistant Conseil, and harpooner Ned Land have discovered the Nautilus, Nemo only spares Conseil and Ned because he respects Aronnax's intellect. With his unbeatable Nautilus, Captain Nemo reigns free on the open waters. But is building a life entirely on revenge an act of pure madness? Interests… literature, music, and art. Nemo might disdain living on land, but that doesn't mean he can't appreciate its culture. Relationship Status… widower. These days, Nemo is solely in love with his ship and the sea. Challenge… destroying all war-related vessels. 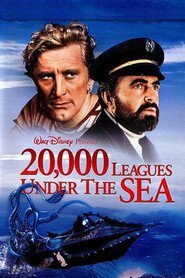 While merciless when it comes to naval ships, Captain Nemo's violence is only meant to prevent thousands of others from dying. (In his mind, anyway.) And after his brutal treatment at Rura Penthe, Nemo hardly feels that the laws of society apply to him: "I am not what is called a civilized man, Professor. I have done with society for reasons that seem good to me. Therefore, I do not obey its laws." Personality… brilliant, practical, and obsessed with revenge. A mysterious, introverted man, Nemo keeps his motives hidden. Like the sea, Nemo is wild, untamable, and just as dangerous. Captain Nemo's popularity ranking on CharacTour is #1987 out of 5,000+ characters. See our top-ranked characters and read their profiles.